The risk of falling is a common problem for older people that can have serious implications. As we age, important senses like balance and eyesight get worse. 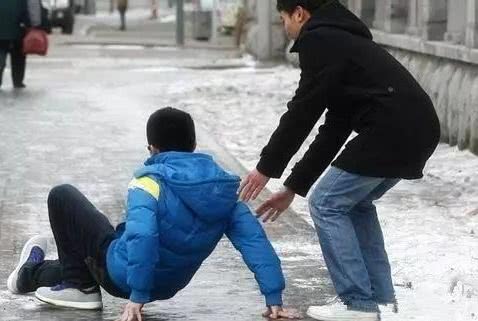 Reaction time is lessened and so avoiding accidents can become difficult, making a fall possible. Unfortunately, seniors at home and in long term care homes have between 20 and 30 percent chance of falling in a given year. Seniors often suffer from chronic conditions that can impede mobility, such as arthritis or cataracts. An accident is likely to occur when it is a struggle to simply move around. Often, the home itself can house accidents waiting to happen, like a frayed carpet or poor lighting. These circumstances can all contribute to the chance of a fall. Falls limit normal activities for seniors at home and can potentially have major health consequences. They can be devastating and result in a loss of mobility, independence, confidence and social connection. The changes that come after a fall may be costly or unpleasant, so fall prevention strategies are encouraged for individuals with a risk of falling. What is Physiotherapist’s role in preventing fall injury? Physiotherapy is a non-invasive treatment that restores function to the body using fall prevention programs. Physiotherapy can help to manage pain and prevent disease through proper movement and overall awareness. Prescribed interventions designed to match the needs of the individual are effective in reducing fall risk. The patient is encouraged to take an active stance in their own well-being. The therapy effectively treats conditions and injuries by using exercise, training and education to help patients gain control and confidence. Seniors should have activity that involves regular exercise to support muscle tone, bone strength and overall flexibility. Without regular exercise, those muscles can become weak and atrophied. Older individuals often neglect to maintain regular exercise and thereby inadvertently increase their risk of a fall. The physiotherapist begins by assessing balance, gait and mobility. Lower joint function is an important factor in your ability to stand and walk, and impairments could lead to accidents. The patient will most commonly be prescribed exercises for strengthening their muscle control. Fall prevention exercises will be implemented that work on balance, gait, strength, endurance and flexibility. 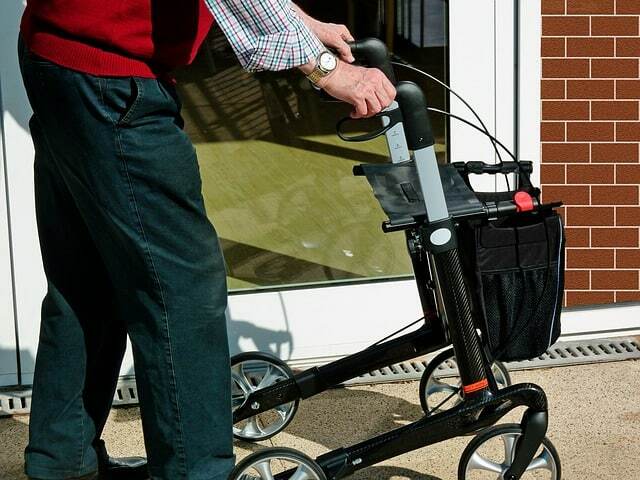 A device like a cane or a walker may be prescribed to the patient to aid with mobility. The goal in physiotherapy treatment is to minimize balance or gait abnormalities in patients and give them confidence in their safety. The pelvic region, core, and lower body joints are of utmost importance for fall prevention. It is usually due to poor control of the muscles and tissue in the lower body and core that seniors cannot catch themselves during a fall. Seniors should have activity that builds muscle strength and control, making it easier to achieve mobility and lessening the chance of a fall. The physiotherapist will analyze the patient and determine where it would be the most advantageous to focus the fall prevention strategies. Most commonly, exercises that improve balance and posture are employed in fall prevention training. Simple routines like stepping in different directions, moving from a sitting position to a standing one, heel raises, step-ups and half squats can be performed. Elders are encouraged to carry out their prescribed exercises with intentional control and without the aid of their arms. Exercises to increase flexibility and endurance can prevent frailty-induced falls, but it is important not to overexert individuals who are already frail. People who suffer from frailty may not have the necessary strength to perform endurance-building exercises. For example, walking is not recommended as it can increase the risk of a fall by increasing exposure to environmental hazards. Instead, it is suggested that patients perform other exercises to increase flexibility and endurance. Reaching exercises are proven to increase flexibility over time. These are gentle and effective exercises that can be performed by older individuals as part of fall prevention training. In addition, exercises that increase general balance and coordination can be used to improve flexibility and endurance. Physiotherapists work with their patients to make sure they understand their personal responsibilities. Physiological function, environment and behavior all interact to determine the individual’s needs. The patient will be trained to understand their physical requirements and what they can change in the home or in their behavior to minimize risk. The goal in physiotherapy is to increase balance and improve self-confidence. Successful treatment reduces the fear of falling and promotes a healthy, happy lifestyle. A previous fall is the most accurate predictor of future falls, most likely because a second fall is usually due to the same reason as the first fall. Physiological assessment is the next most important predictor, as physical function is a leading contributor to muscle control and fall risk. Fall prediction tools should cover these factors and many more, as a tool with a wider scope of information will be more accurate. The Quickscreen tool is used among seniors in long term care homes to assess balance, vision, peripheral sensation and medical history. People with multiple risk factors show a higher chance of experiencing falls than individuals with zero to one risk factors. After proper assessment from your health provider, you should be recommended for assistive devices in additional to reduce the risk of falling and make your daily activity much easier. The common devices are reaching aids in various lengths, crutches, canes and walkers, seat lift and hip protectors. Ask your physiotherapist when selecting the appropriate supportive devices. Being aware of your body and its abilities and limitations will help to keep you in good health. It is advised to maintain the regular upkeep of the exercise and advice plan given by the therapist. A physiotherapist will give long term care and guide each patient through the steps they need to take to achieve mobility and live a fuller life. Our physiotherapists at Pro Fusion Rehab are trained to give comprehensive and long term care to their patients and reduce the risk of falling through fall prevention programs. If you or a loved one needs help to achieve full mobility and function, ask them to consider physiotherapy.